Happiness is cheese, right? Last night I attended the “Yelp’s Powerhouse Pairing: Kapiti & Wild Side” event which was outstandingly sumptuous. 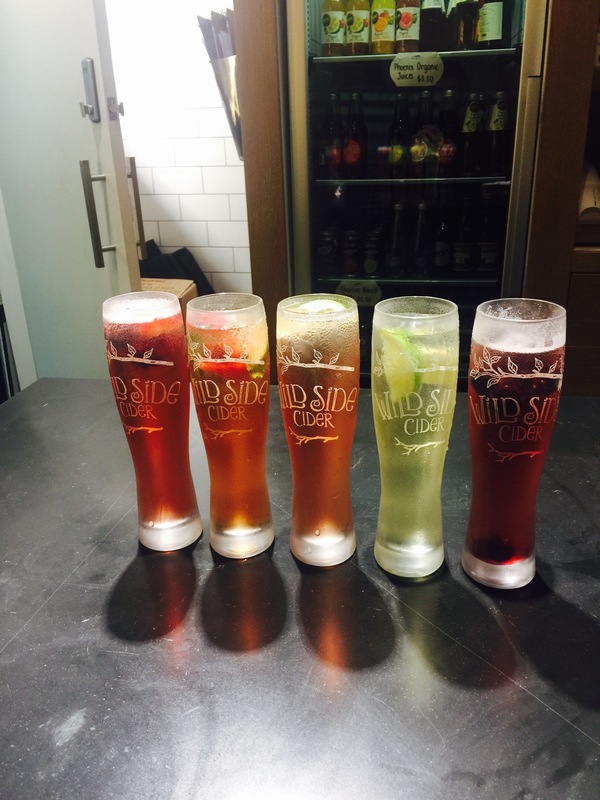 I had never even heard of ‘Wild Side Cider’ until yesterday; now it’s my favourite (low alcohol) beverage. 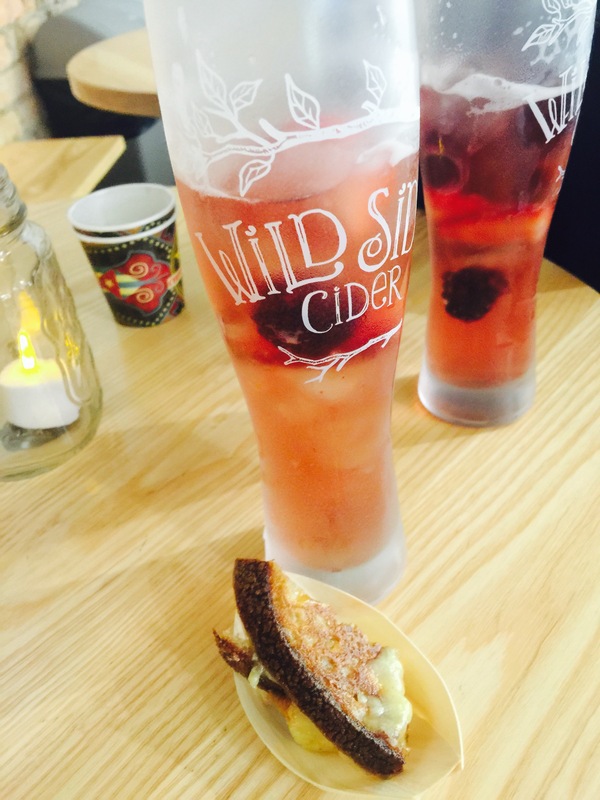 No spoilers – however the winning cider/cheese combination (for me) has to be ‘Wildberries’ paired with glorious grilled (Tuteremoana Aged Cheddar) cheese. Just wow. I then sampled the refreshing ‘Feijoa & Passionfruit’ cider with Kanuka Waxed Havarti. Apparently this is the most popular cider, however it is a little sweet for me, just saying. The Havarati was extraordinary: rich, dense & creamy. Next up is the ‘Strawberry & Lime’ cider with Kikorangi Blue. This cheese is my favourite, by far. Smells divine & is explosively flavoursome. ‘Blackberry & Plum’ cider with Tuteremoana Aged Cheddar was delightfully paired with fruity & sharp flavours to satisfy. Lastly ‘Apple & Pomegranate’ Cider poured over Spicy Apple Crumble ice cream was orgasmically exciting. I wanted more – a lot more. Meg from ‘Kapiti’ was extremely erudite about cheese, which made me smile ear-to-ear. Andy from ‘Wild Side’ knew a thing or two about cider – loved their logos and each back story behind the animal – especially the ram. 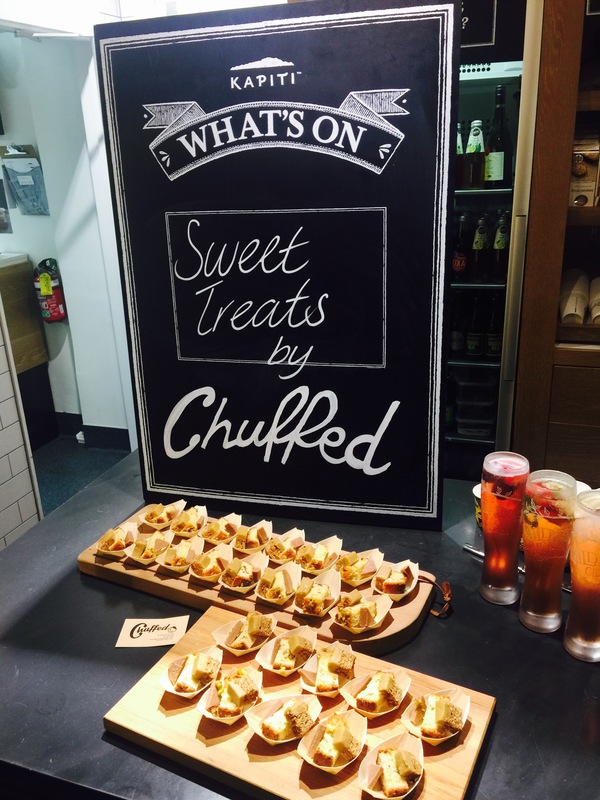 There was also a special treat on offer from ‘Chuffed’: Ginger crunch, chocolate fudge and gluten-free bread I think! 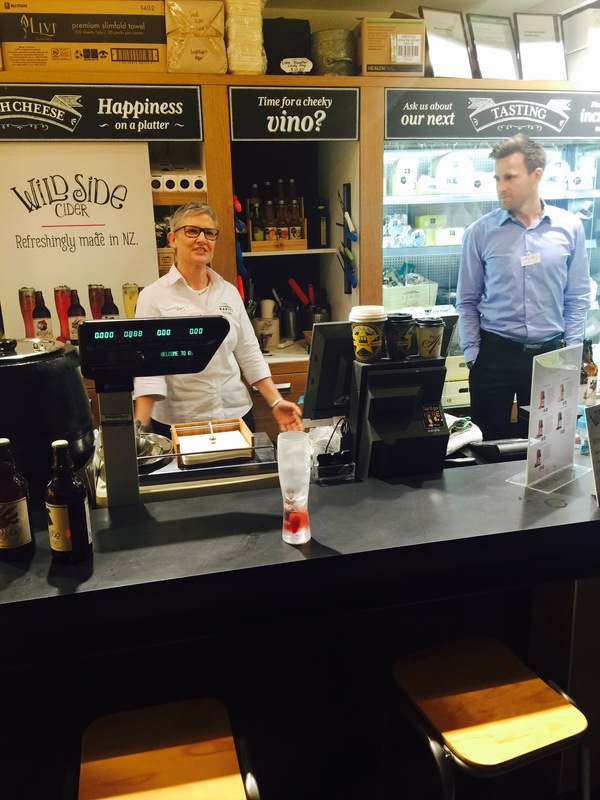 Truly a flawless ‘Yelp’ event that showcased some of the best & ‘hot’ NZ brands in the market. As luck is on my side – I was recently invited to attend the first series of ‘Artisan’ talks hosted by Yelp Auckland at Lot 23. 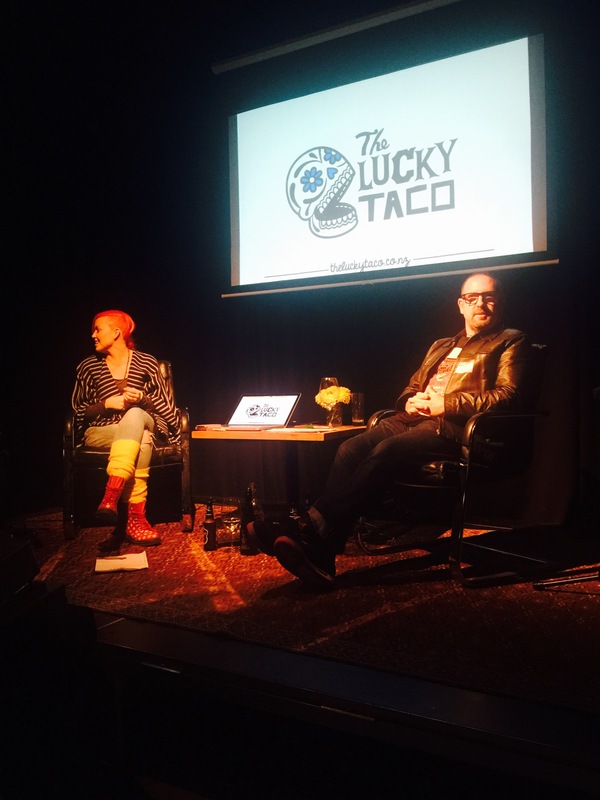 First up (of these talks) was Otis & Sarah Frizzell who founded, own & presently operate “The Lucky Taco”, since May 2013. I was intrigued to hear all about their entrepreneurial journey and their ‘go to’ product; so far they have collaborated with the likes of Nice Blocks, The Collective NZ (no bull yoghurt), BMW and endless others. Like all start-ups – Otis & Sarah – have had an action-packed ride on the path to success. I was delighted to try some of the ‘hot’ sauces on offer including Halanero, Jalapeño & Chipotle. Now stocked in 60 ‘New World’ supermarkets across New Zealand, so you can now have this on tap in your pantry! I purchased some (not on the market yet) ‘Chilli Salt’ which I can’t wait to try on poached eggs! 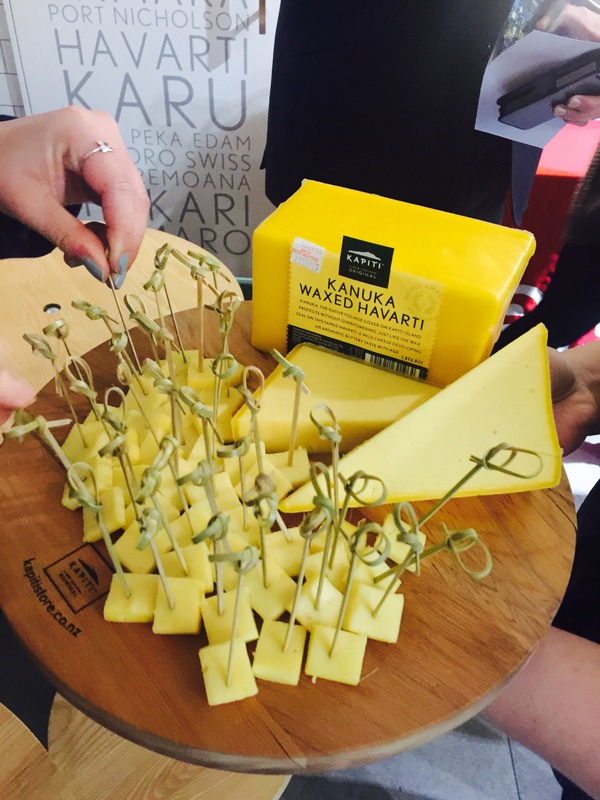 ‘Auckland in a box’ were showcasing too – with a giveaway of local artisan products. Lot 23 is an exceptional space for events, executed to a high standard. The crowd finished off all the sample tacos in record time. Impressed. Nice one Yelp: Gold. That’s all. 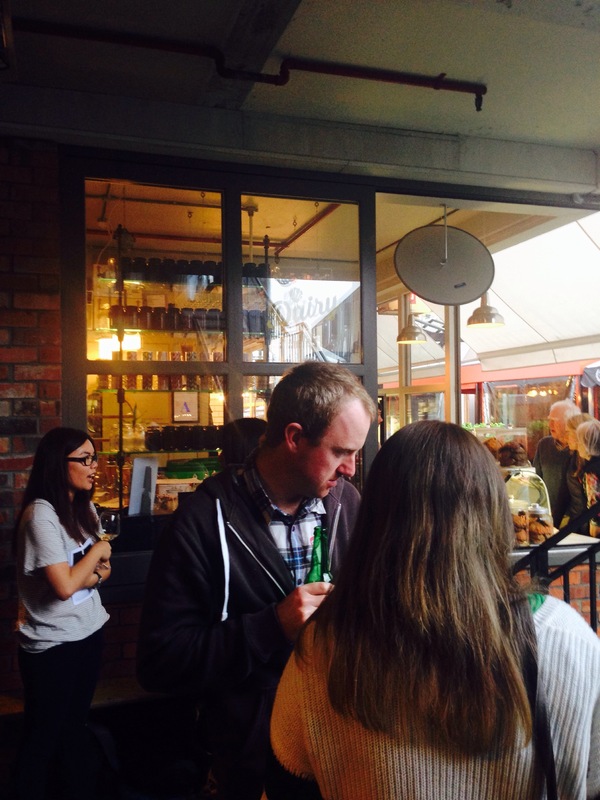 Yelp Auckland – you did good. Thievery studio is an understated, urban, artist’s ‘dream space’ for photographers (namely Garth Badger), filmmakers, event producers, fashion designers and anyone wanting a creative hideaway on the infamous Karangahape Road. Attending ‘So Fresh & So Clean’ last night was an outstanding event showcasing ‘Honey Trap’ (Hummingbird Cake & Mini chicken club sandwiches), ‘Cocoloco’ (Pure coconut water & Spiced Stolen Rum with coconut water) – truely orgasmic. ‘Room by Room’ (affordable & accessible) interior design consultation, who gave away gorgeous cacti wrapped in recycled brown paper. ‘Invivo’ sampling delicious red wine, ‘Garage Project’ with their array of craft beer from Te Aro, ‘Antipodes’ sparkling & flat water that I can never drink enough of. ‘Bird on a Wire’ with paleo-style fare. The dip was heaven. ‘Little Eats’ was sampling a deconstructed creme brûlée-like sweet & a bite size spicy pastrami treats, ‘Bluebells Cakery’ offered ginger crunch, chocolate brownie, mini jammy donuts & more gastronomy! I drunk the Clasico & Rose Cava and nibbled on most of the above. The highlight was the Spiced Stolen Rum Cocoloco, the carefully positioned life-size zebra mounted on the wall, ‘Honey Trap’ clubs and Yelp for always exceeding my expectations – Yelp me! 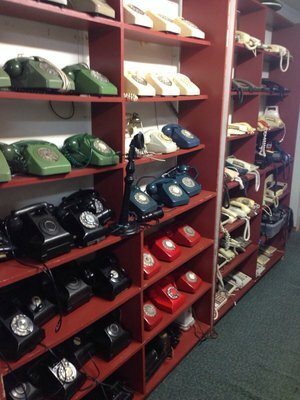 ﻿What a great venue for a ‘Yelp Elite’ event! I always wondered what would become of the rundown commercial laundry in Mackelvie Street – newly transformed ‘The Shelter’ is resident to Blend cafe & fashion brands: Children of Vision, Taylor, Mobi, Otsu & Tokyo Bikes to name a few temptations. Drew & Sarah Duff-Dobson told us their story behind Blend Cafe: lovers of great coffee selling Smith blend which is Fair-Trade or Rainforest Alliance sold in compostable cups! On our arrival, all Yelpers were offered cocktails either Smith coffee, bourbon & orange and/or Smith coffee, Cointreau, orange & egg white. Whoa! The gorgeous fare was supplied by ‘Bird on a Wire’: selection of Asian salad with a peanut sauce, raw vegetables with Dahl and I missed out on the chicken, unfortunately! Incredible ambiance in the courtyard which was chic, urban & wholesome. Inspirational event – which is the first Yelp event showcasing local startup (entrepreneurial) business’s in the Auckland Central community. Yelp! What a find! 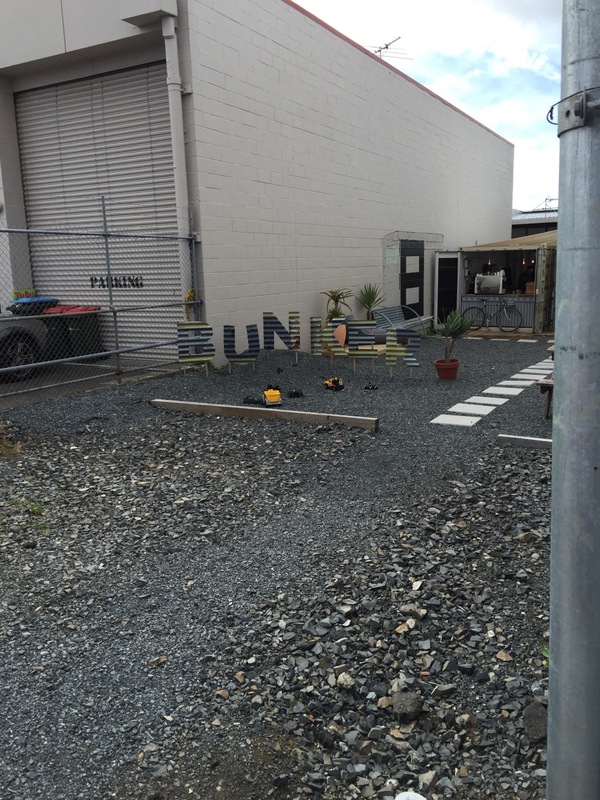 Bunker cafe is hidden away – just off Great North Road – not the easiest place to find, however when you do: bliss. 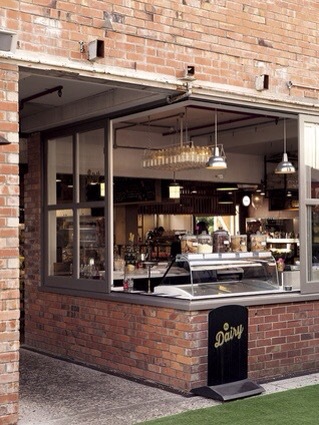 I personally love ‘hard to find’ quirky, urban cafes that don’t do conventional. ‘Bunker Cafe’ is just that; a converted container surrounded by designer bean bags, wooden benches, pews and a concrete garden. Atomic coffee is on offer, along with oversized sweet & savoury brioche, gourmet pies, sweet fare and gastronomic European sandwiches filled with a multitude of choices. I decided on the bacon & egg ciabatta that was winking at me. Everything is takeaway: served on disposable plates. Service is fabulous and personable. Parking is scarce. Ambience is a writer’s dream. You better go now before everyone knows about it! BIG fan – not sure why I have not been here before as its in my neighbourhood! Located on the corner of Great North Rd & Williamson Ave, it’s central Grey Lynn. The space is modern, bright and inviting. As I approached the counter, the barista was beaming as she asked “how are you?” Fantastic: personable, engaging and gives’ a sh*t. Some cafes are just too busy to care – “Kokako” does care. The cabinet food looked fresh, appetising and healthy with all the usual options available: berry muffins, scummy sandwiches & other mouth-watering treats. Reasonably priced from $4.50. I was looking forward to the coffee, of course. It didn’t disappoint – my triple shot flat white. The cafe was extremely busy for a morning weekday; that explains a lot. Very impressed with this flagship cafe: “Kokako”! Lot 23 is a place that you may read about in ‘Viva’; then make the (conscious) decision to visit, before it’s everyone’s hang-out. Located in Minnie Street, Eden Terrace which happens to be where TVNZ ‘Step Dave’s’ (blue) house is situated! 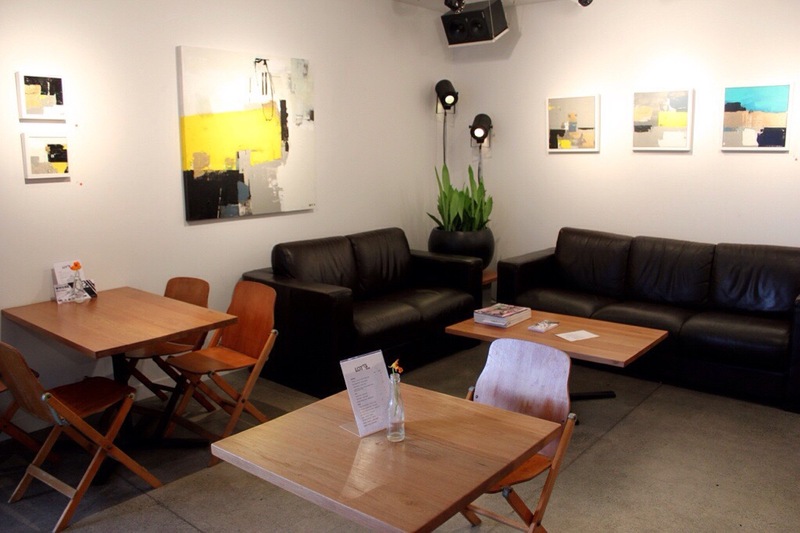 As you enter the space: walls are filled with the latest art curated by Natalie Tozer, concrete floor, wooden old-school chairs, complimented with a super-slick white interior that acts as a great canvas for everything art! The menu is delectable: ‘Ugly bagels’ topped with lashings of cream cheese, capers and fresh salmon, daily soup choice/s, croissant filled with Camembert, tomato and ham off the bone, ‘Baghdad eggs’ and coconut ice! Every mouthful is ‘gastronomy’ and flavoursome. I particularly love the ‘Brazilian coffee’ that stimulates the senses – like coffee should. I can’t get enough of Lot 23. Are you having a fancy dress party? This is the place to venture to – if so. Word. Whether it’s an Elizabethan gig and you’re looking for ruffs, pantaloons, jerkins, corsets, queens & kings wigs – they have this covered. Or maybe you’re after Bollywood attire? I have indeed hired ruffs, tutus, props, wigs and costuming from First Scene. It’s rather overwhelming place to visit – so make sure you ask someone for assistance – if you’re short on time. I particularly like the selection of false eyelashes, theatre makeup and their shoe selection. All the staff are suitably friendly and helpful. Based just over the hill from Kingsland’s Main Street (shops and cafes) so very convenient and centrally located with parking right outside the building. Cool. Majestic. Transformative. Check it out. 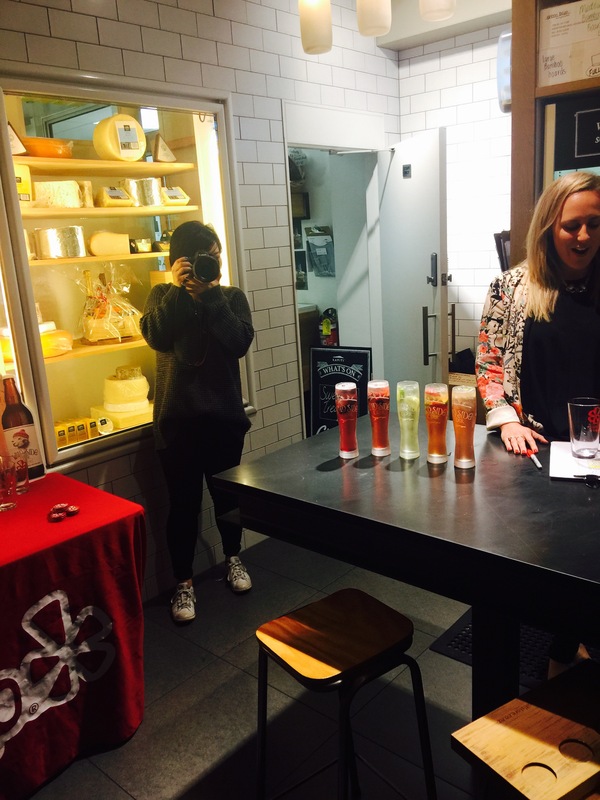 Recently I attended a Yelp event: Yelp Pairs Cider & Cheese at The Dairy, Ponsonby Central. Hosted by the cool crew from Yelp Auckland namely Alex the Community Manager and Tara, Owner of The Dairy & Foxtrot Parlour. 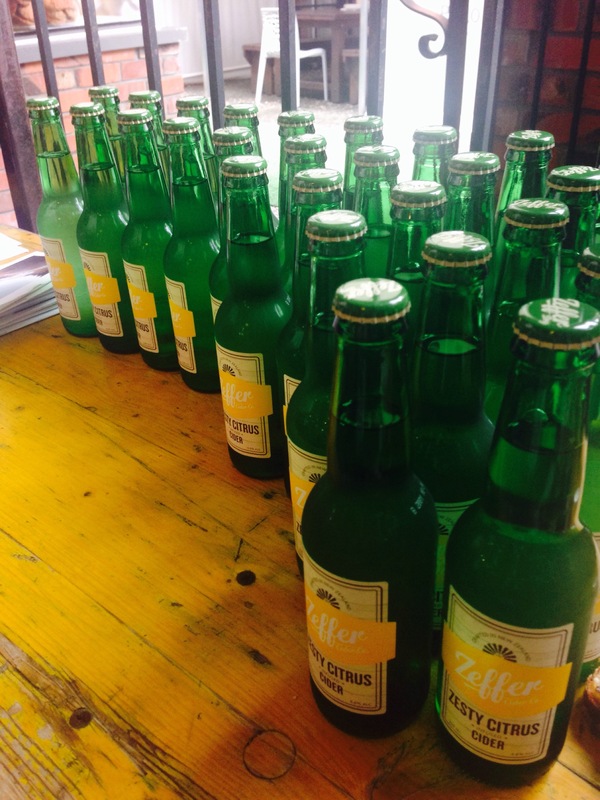 A good crowd attended (as always) and we were educated about the hip ‘Zeffer’ Cider brand established in 2009 and has been successfully winning awards internationally. All the cider was partnered with heavenly cheese from The Dairy: St Benedict Buffalo Brie with Zeffer Crisp Apple, Mahoe Blue with Zeffer Pear, Wangapeka with Zeffer Hopped Up Pippin and lastly Earth Sheep Cheddar with Zeffer Mahana Red Apple. It was indulgent, superbly overwhelming and undoubtably enjoyable – with all the tastings and information buzzing in my head. I loved all the cheese and craved more. My favourite cider was the Crisp Apple that is honest, simple and deliciously dry. Cider is slowly taking preference in the supermarket aisles and as for the cheese – you need to shop at Ponsonby Central, and be wowed at The Dairy.